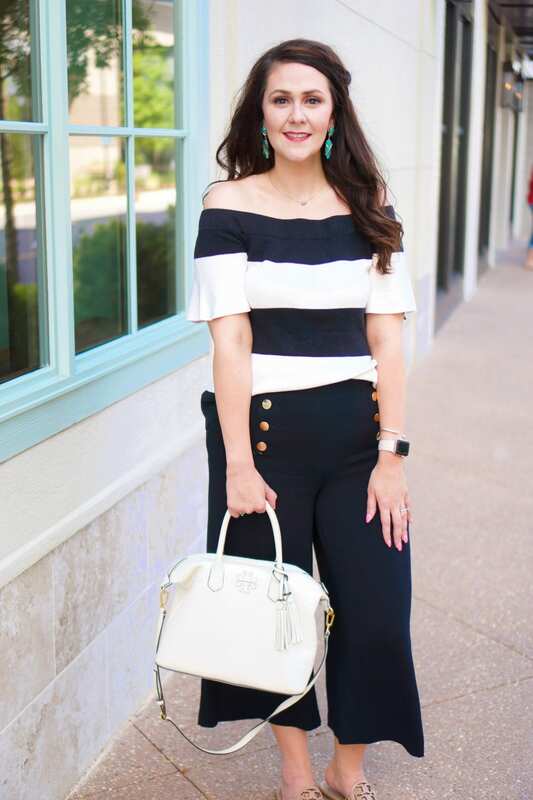 The photographs in this post were gifted to me by Sweet Bloom Photography. As always, all opinions are my own. 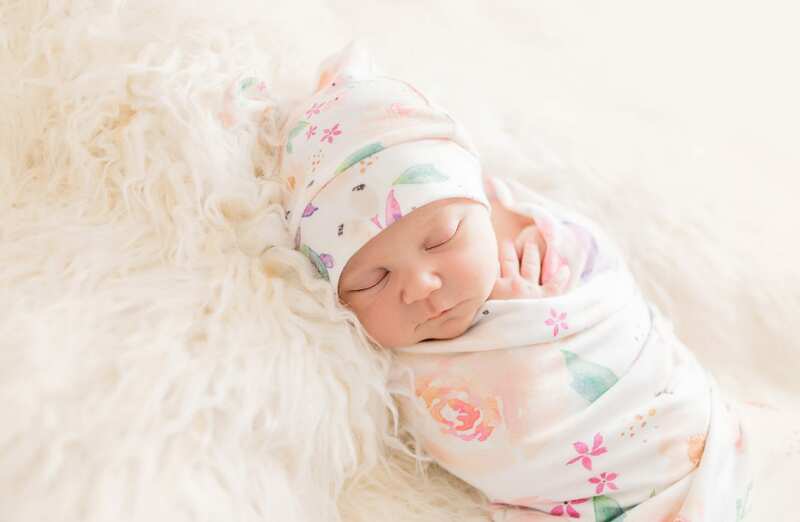 I’m so excited to share Karoline’s newborn photos today to “officially” introduce our baby girl and share about our newborn photography session! 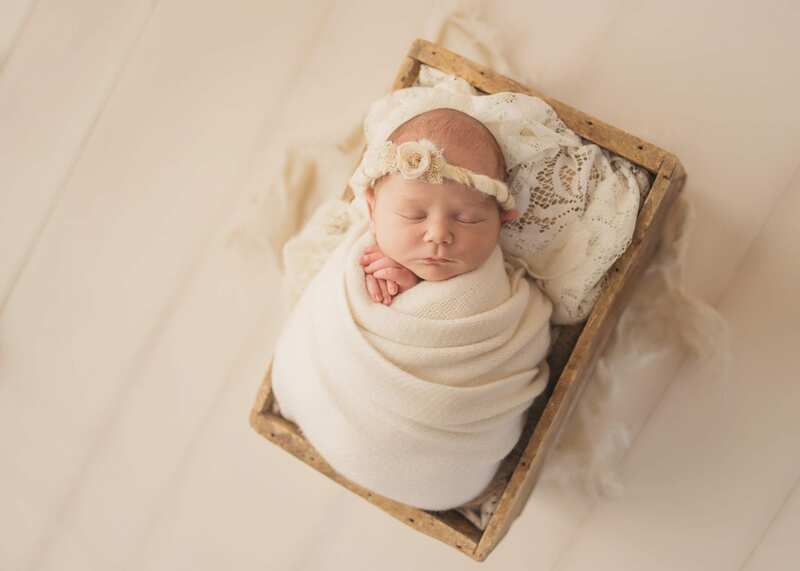 These photos were taken by Sweet Bloom Photography, a maternity and newborn photographer located here in Lexington. Karoline was 10 days old when these were shot. Born on March 1, 2018 at 4:26 p.m., weighing 6 lbs, 13.5 oz., and 19 inches long. 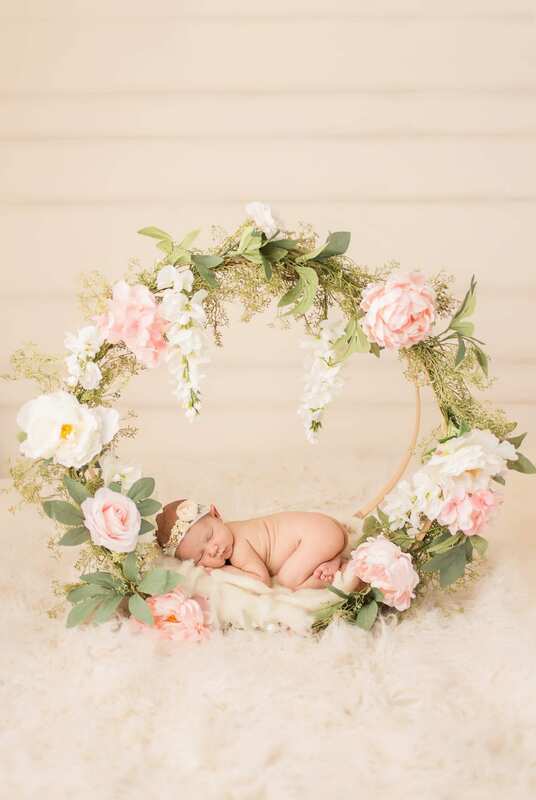 I absolutely adore these newborn photos and will cherish them always. Ashley truly captured the love and excitement of our family. 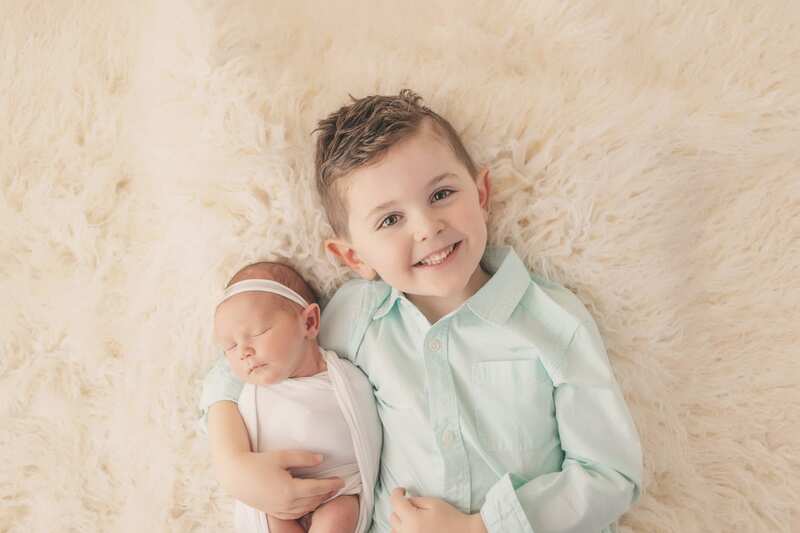 I especially love the pictures of Kane and Karoline together. You can see that Karoline is his pride and joy and he just dotes on her. 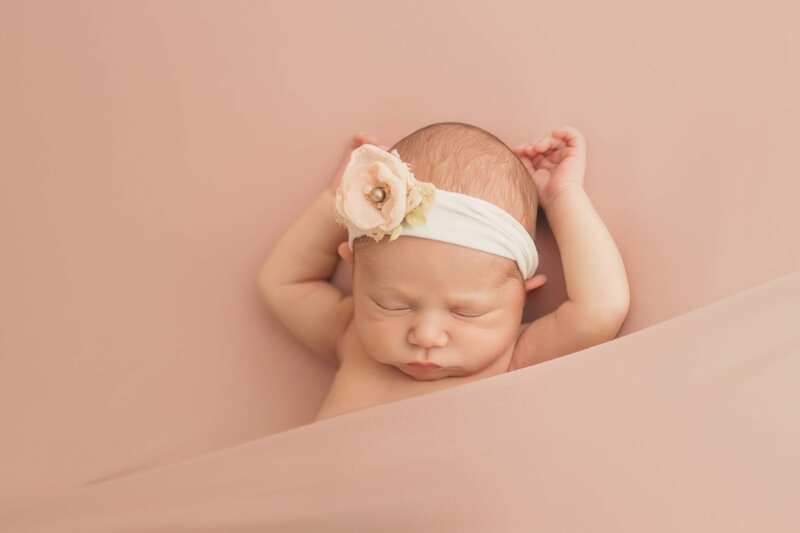 Karoline has grown so much and already changed her looks, but now I’ll have these pictures to remember that squishy, sleepy, magical newborn stage. 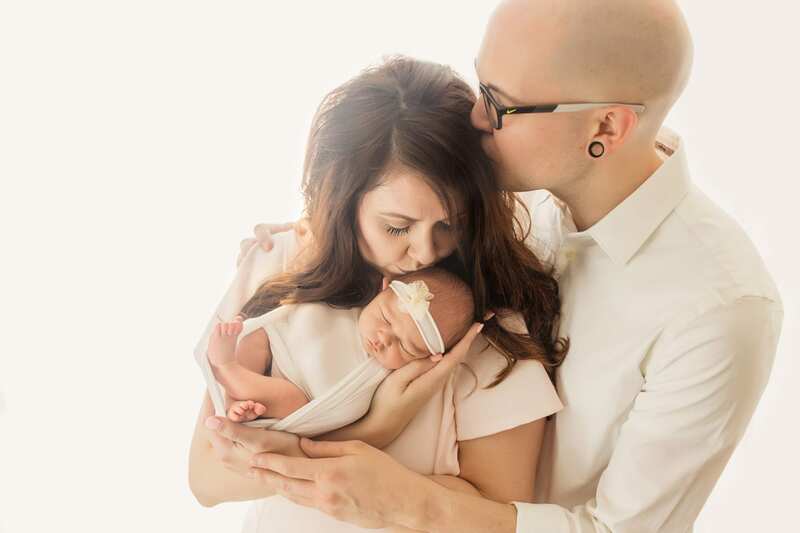 In my opinion, newborn photos are some of the most important photos you will ever have taken. They capture such a momentous occasion in your life. If you’re in the central Kentucky area, I highly recommend Sweet Bloom Photography. Ashley, the owner/photographer, is AMAZING. No, really–she’s a baby whisperer! I find the thing that people struggle with the most for ANY photo session is what to wear. The days of matchy-matchy family portrait sessions are behind us. Ashley recommended that we were neutral colored clothing. I chose to go with light pastels for us. If you do choose to go with neutrals, though, you could dress in various shades of white, cream, and tan. If you choose instead to go with light pastels like I did, make sure they’re very soft and stick someone in white. Here, Chauncey is in white, I went with a soft blush dress, and Kane is in a soft mint button down shirt. It gives a cohesive look without being matchy-matchy. When taking portraits, I also try to keep outfits simple and avoid patterns that would “date” the photo. I always want something that looks a little timeless. 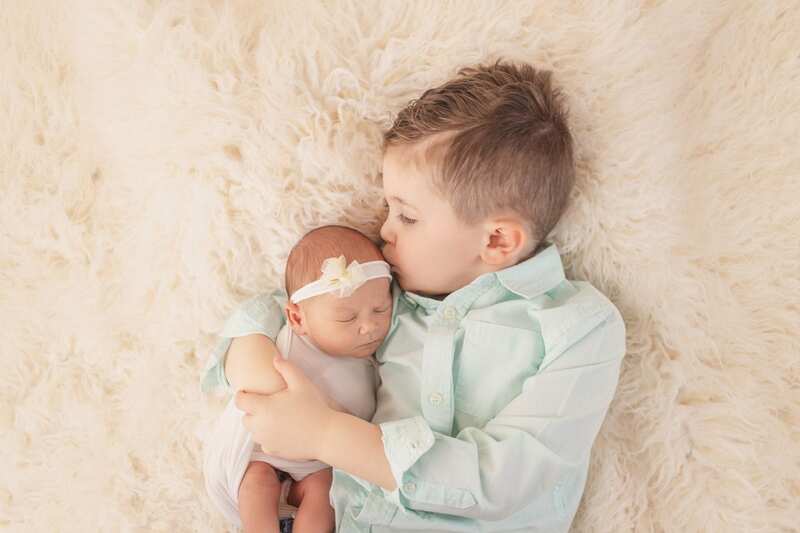 As soon as we booked the session with Sweet Bloom Photography, Ashley sent us information regarding the session and a questionnaire to fill out. You pick out a color scheme, and give her information about what you like/don’t like. You can bring along one special prop for the pictures. We chose to bring this hat and swaddle combination. I loved that Ashley really takes her time with each session. She doesn’t rush anything and is very methodical in getting the poses she wants. This means, however, that you will be there at her studio for 2-3 hours. She does ask that you keep it to just immediate family, as the session takes a lot of focus. There is a waiting room for parents and siblings with wi-fi, toys, and a TV, and a bathroom as well. Ashley even has some water and snacks set out. 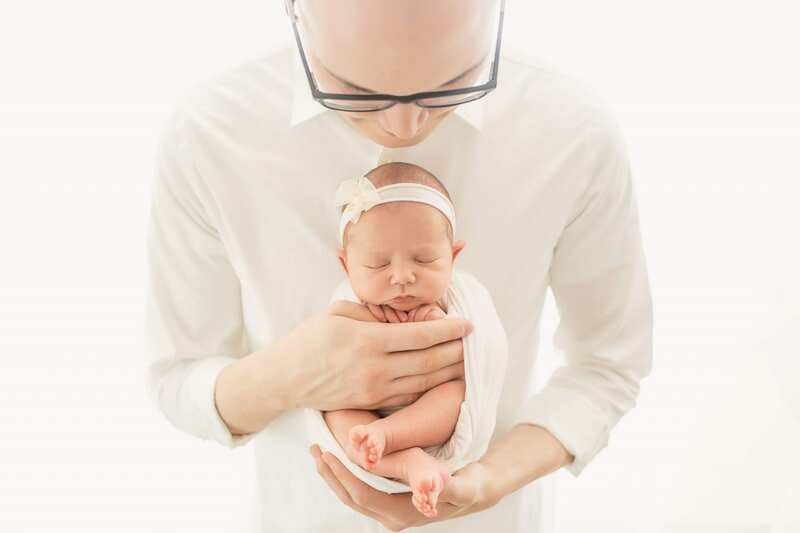 Keep in mind that you only have a short amount of time to get in true newborn sessions. As the baby gets older, it grows out of that sleepy slumber stage. 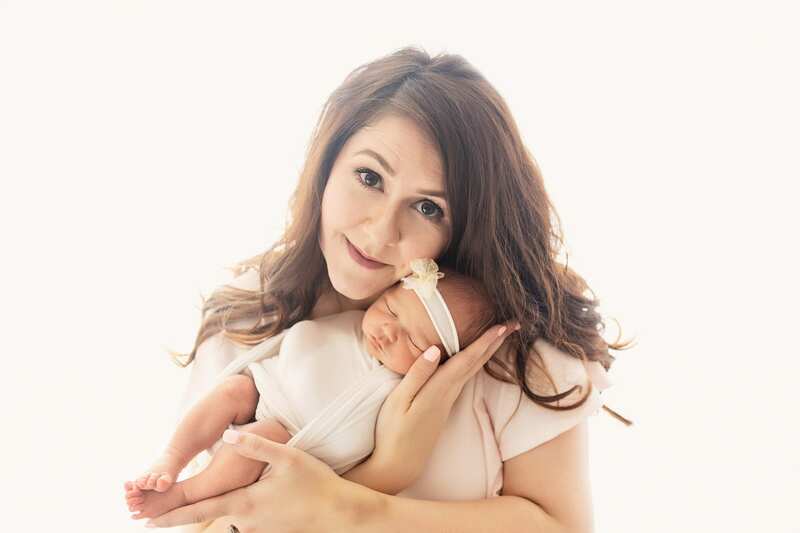 Ashley books her newborn sessions for when the baby is between 7 and 21 days old. As I mentioned above, Karoline was 11 days old at her session. 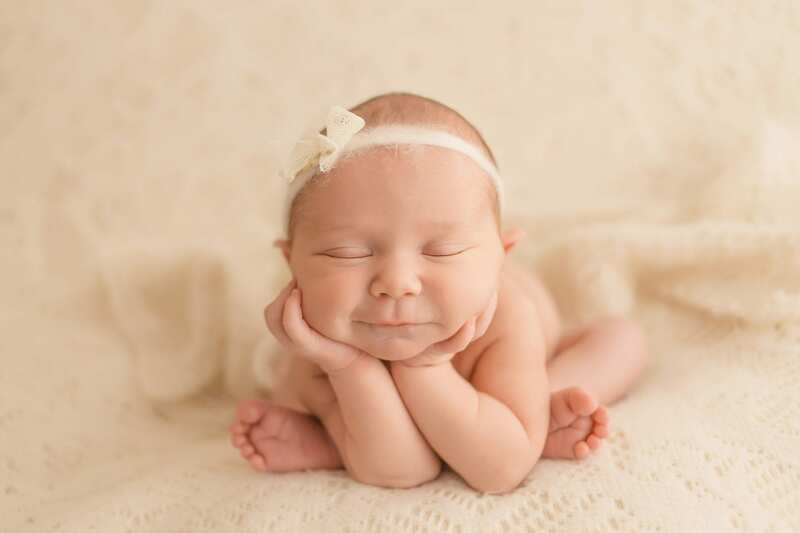 Also, you should book your newborn photography several months in advance to ensure availability. 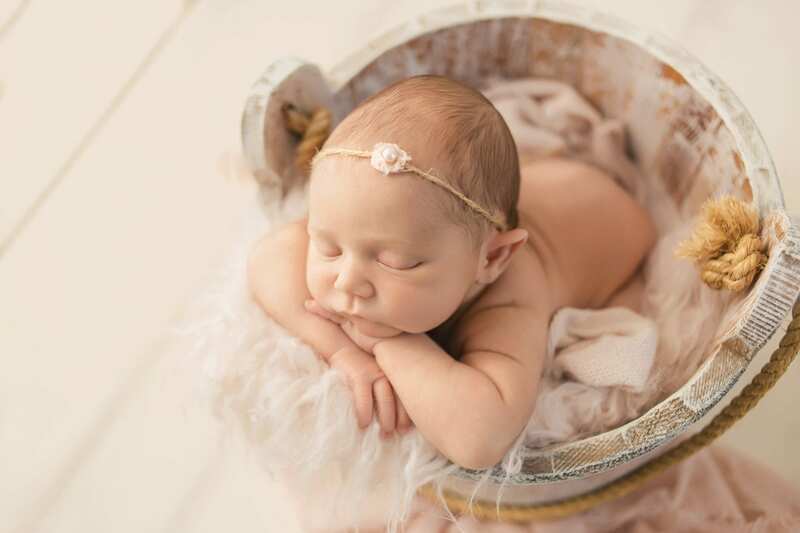 You simply book around your due date, and your photographer will adjust the session date as needed once the baby arrives. Hocus Pocus Style–It’s October, Witches! WOW! These are stunning. Karoline is the perfect addition to your family. I love that you included everyone in the pictures. They’re precious and something you’ll always treasure. 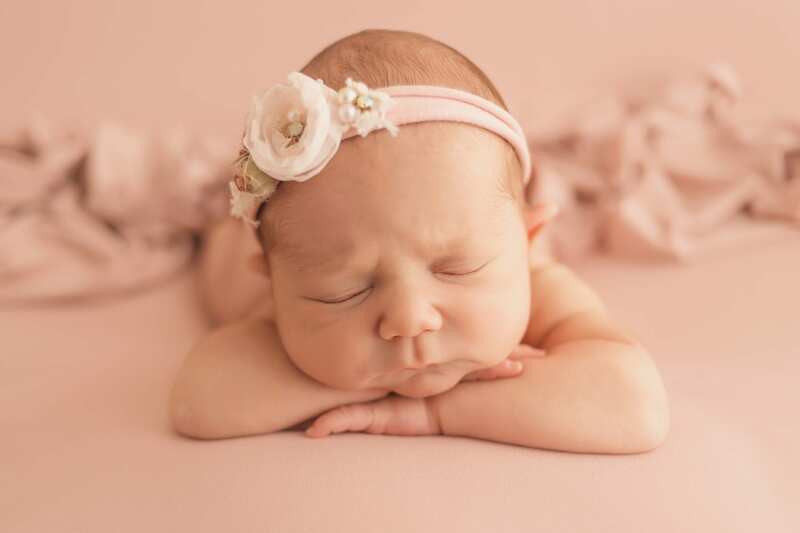 I agree with you – you can’t skip out on doing newborn pictures. They’re only tiny once. These turned out so beautiful! She is too stinking cute!! What beautiful pictures! How will you ever choose which ones to print? They all look so great! Wonderful photos. 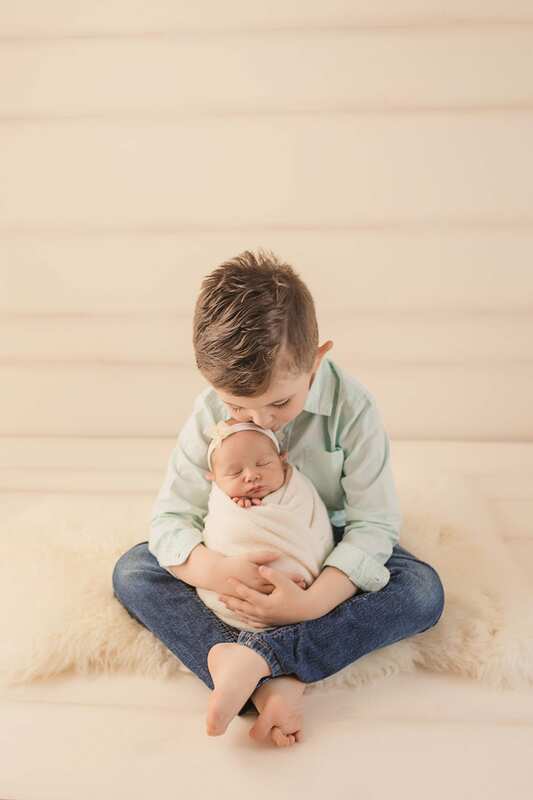 I love the ones of Kane holding Karoline. And how sweet that she slept through it all! So sweet! 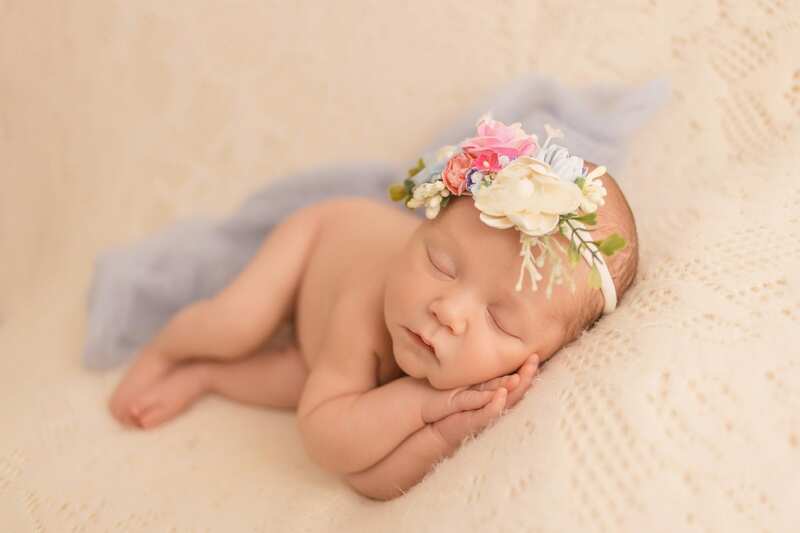 I love that she has her own little flower crown! OMG — these photos are amazing! Congratulations on your new addition. Oh she is just the most precious little peanut! What a doll! The pictures are so great! She’s beautiful, and these photos are stunning. Her little smile kills me! Simply precious! This is too much! These are so sweet! I love the ones of you and Karoline! The ones of Kane and her are precious too! She is so precious! 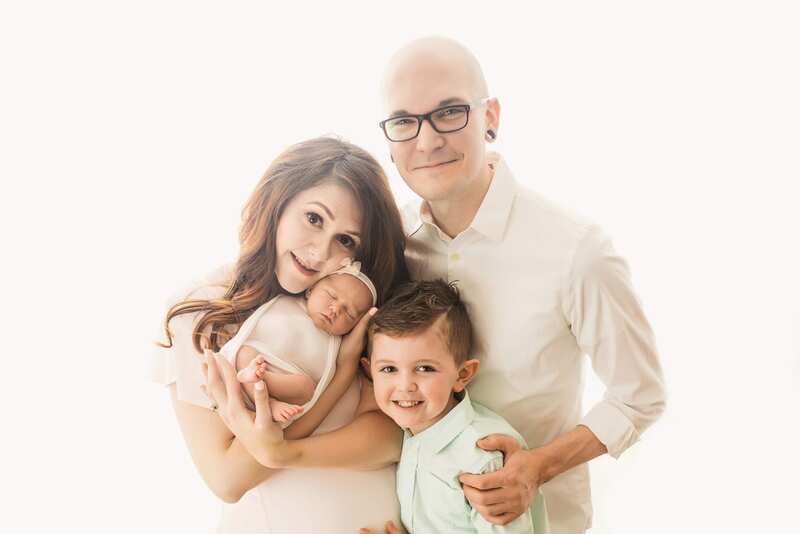 These photos turned out great, your whole family looks perfect! These photos are so sweet. What a precious baby! Oh my goodness! These are all so, so sweet!